The onboard Wii Hardware reads DVDs, DVD-R, DVD-RW discs, Wii game discs, and Nintendo GameCube formatted mini-DVDs. Unlocking the Wii’s DVD functionality is possible through various methods. Turning the Wii into a working DVD player is relatively simple and requires little technical work with the Wii depending on the method used to unlock the DVD functionality. Mod Chips are a special type of chip that must be installed onto the actual Wii hardware via soldering. The process can be complicated and requires many wires to solder into place. The simplest options for DVD playback require at least 4 wires to be soldered into place. Other advanced options have more wires that need to work correctly and may even require additional switches for proper updating and various other functions. Pre-modded chips make it possible for DVD playback by inserting the necessary code into the Wii DVD drive’s firmware that forces it to read discs other than the Wii game discs and GameCube format discs. This is why the chips must be soldered accurately and with precision to ensure that the chip can function properly by altering the Wii hardware’s normal processes. Soldering the chip into the wrong locations can risk damaging the chip or the Wii Console. Once any unauthorized hardware modifications are made to the Wii, the hardware warranty is voided. It is important to take extreme care to ensure that the chip is put into place without causing damages to the Wii console as Wii console damage may be irreversible. Launching copied or backed up game discs – Several pre-modded chips are specially designed to allow copied game media to run. Both Wii and GameCube discs can be copied to various types of DVD media. Installing and running Wii virtual console games and channels – By using specialized processes, installing Wii virtual console games and downloadable content and channels is possible without actually purchasing them from the Shop Channel. The process may be complicated for the novice user and the availability of software to install on the Wii will vary online. Using unlicensed homebrew applications and games – Homebrew is software that programmers unofficially code, which often release the software for free online. Some mod chips allow users to install and use homebrew software on the Wii. Homebrew software is constantly being updated and available through a wide variety of sources. The Wii occasionally has official updates to the firmware. Many of these updates are not for increasing or improving Wii console functionality. In fact, many of these updates are aimed at reducing piracy and unofficial modifications to the Wii by rendering them useless. Wii consoles that undergo the update process are at risk of becoming dysfunctional after an update due to the incompatibility of the modded chips installed on the system. 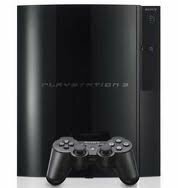 When this occurs, there is usually no way to get the console replaced because a return is often checked before being accepted or exchanged at most major retailers. Sending the system to Nintendo will not provide any help to those who have had modifications made to their system. This means that newer games that require updates will not be playable on the system with modifications unless a successful update is possible. 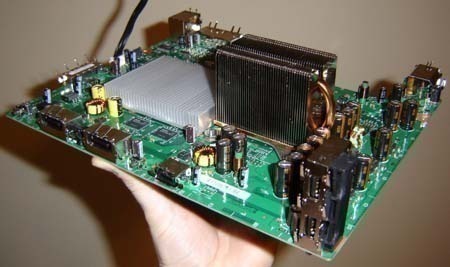 Essentially, using a pre-modded chip will turn the Wii into an expensive DVD player compared to the variety of DVD players that are available at a reasonably cheaper price. Risking damage to the Wii console for DVD playback is not recommended if the console is intended for use often, especially with the newer games on the market. Note: Wii consoles with certain firmware versions cannot be modified with a pre-modded chip. New systems that have been manufactured after a certain date will have updates already applied to the system that disable the functionality of pre-modded chips. Newer Wii consoles have also removed the functionality to load certain kinds of DVD media and will not be able to be modified in any way to read them. Wii Firmware – The Wii has many different firmware versions available that may be installed into the Wii Console. It is important that the Wii Firmware is below a certain “menu” version to have full compatibility with the Wii Homebrew. Exploiting Software – This is special software that is created for the sole purpose of causing the Wii to crash and load up a different code through the SD Card. The process is usually designed to create artificial save game data or specialized bootable software on the card to be loaded. Depending on the type of exploit being used, additional steps are required to actually run the exploit. Some exploits require users to have a copy of certain games on hand that will load the exploitable code through the modified save game data placed on the SD card. SD Card – The SD card will be necessary to run the exploit as well as provide storage for the WiiBrew that will be used. Any SD card with a capacity under 2GB can be used with the Wii. The card must be formatted in either FAT16 or FAT32 for the Wii console to read it. WiiBrew Software – WiiBrew comes in a wide variety of options and no one option is perfect. The best option is to install WiiBrew with the HackMii Installer available at http://bootmii.org/download/. IOS Installer – With the appropriate WiiBrew installed, the user will be able to run the CIOS Installer to install IOS versions required for the Wii to run DVDs. There are several CIOS installers available in homebrew communities that will provide the functionality to install IOS and CIOS options into the Wii console NAND Flash memory. IOS – The IOS is the firmware that is installed into the Wii. To allow DVD playback on the Wii, IOS 202 is required before the function is made available with any homebrew applications that allow the Wii to read DVD discs and provide playback support for the discs. IOS 202 is available online through a variety of sources and must be installed on the Wii with a CIOS installer to allow DVD playback with Wii Homebrew. Homebrew Software – Many software developers in the homebrew scene have created a variety of software options that provide the added DVD playback functionality. A great option to try that will allow users to find media playback homebrew (including DVD playback) is the Homebrew Browser available at http://www.codemii.com/download/. 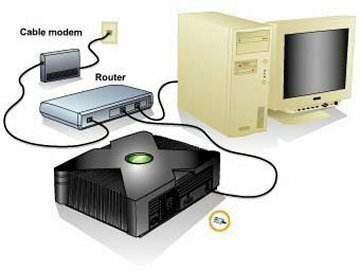 Troubleshooting – Depending on the Wii system version, the hardware installed, the firmware installed, etc., it may not be possible to run homebrew software capable of playing DVDs on the Wii. 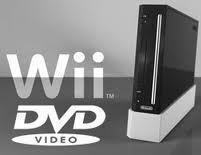 There may be simple fixes available to help get the DVD functionality unlocked on the Wii that require extra steps. Be sure to read all of the available documentation and research the available options that make it possible for Homebrew DVD playback to work on the Wii Console. Note: WiiBrew has the potential to cause the Wii to become unstable and unusable when tampered with. Software that is unofficially created to run exploits on the Wii to allow unofficial software, games, and other functions to run on the Wii are not guaranteed to work or be safe for the console. Since it is a software modification that is done to the Wii, it may still be possible to have the Wii replaced under warranty with the software removed correctly. Wii system updates have the potential to remove WiiBrew and are not recommended unless absolutely necessary. This can cause DVD playback capability and homebrew functionality loss as well as arbitrarily cause the Wii console to become unstable and dysfunctional. Some WiiBrew options can provide protection against damages to the Wii and provide access to possible fixes if performed correctly, though this may not prevent complete system damage. Wii Pre-Modded Chips or WiiBrew use is up to the sole discretion of the Wii console’s owner. There are risks involved when attempting to unlock DVD Player functionality on the Wii. I was looking for that and found your site at google. Thanks for sharing! You will need a USB Gecko for that. 184 queries in 0.467 seconds.